Astronaut Buzz Aldrin walks on the surface of the moon near the leg of the lunar module Eagle during the Apollo 11 mission. Photo courtesy of NASA. On July 20, 1969, millions of Americans gathered around their television sets and witnessed world history as astronaut Neil Armstrong became the first human to walk on the Moon. 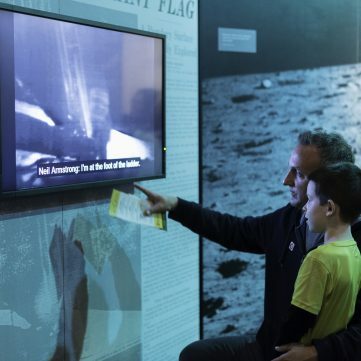 His words are now engrained in American culture and consciousness: “That’s one small step for (a) man… one giant leap for mankind.” The historic journey of Apollo 11 met President Kennedy’s 1961 challenge of “landing a man on the Moon and returning him safely to the earth” before the end of the decade. 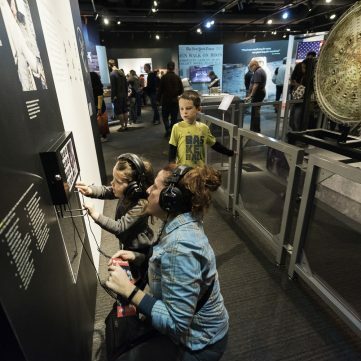 To commemorate the upcoming 50th anniversary of the mission, the Heinz History Center is partnering with the Smithsonian to host Destination Moon: The Apollo 11 Mission, an epic exhibition created by the Smithsonian Institution Traveling Exhibition Service (SITES) and presented in Pittsburgh by UPMC. 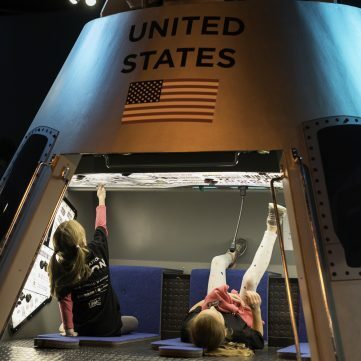 Destination Moon is open until Feb. 18, 2019. 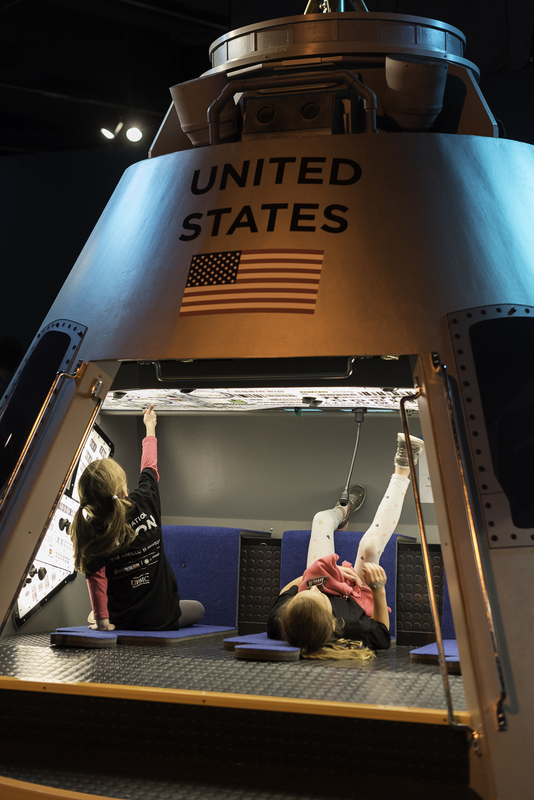 The “Smithsonian’s Home in Pittsburgh” is one of just four museums in the nation to host Destination Moon, which takes visitors on an in-depth exploration of the Apollo 11 mission, the birth of the American space program, and the space race. 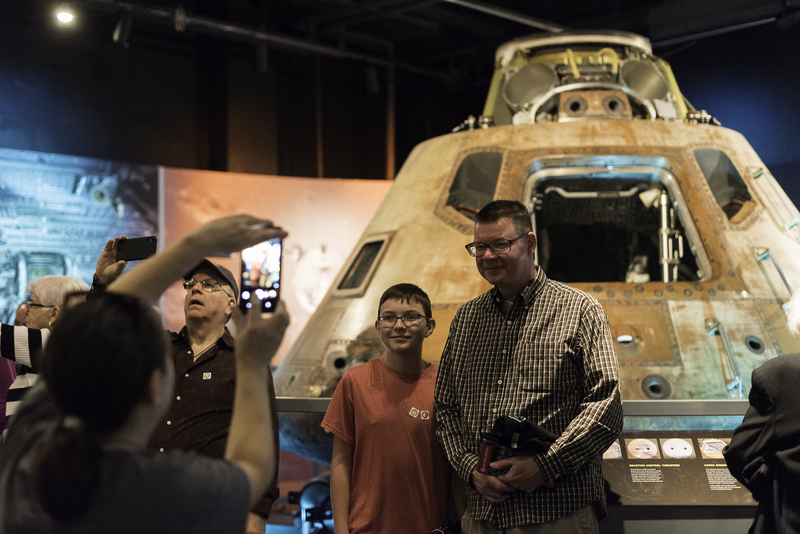 It’s a once-in-a-lifetime chance to see a national treasure in Pittsburgh – the Command Module Columbia. 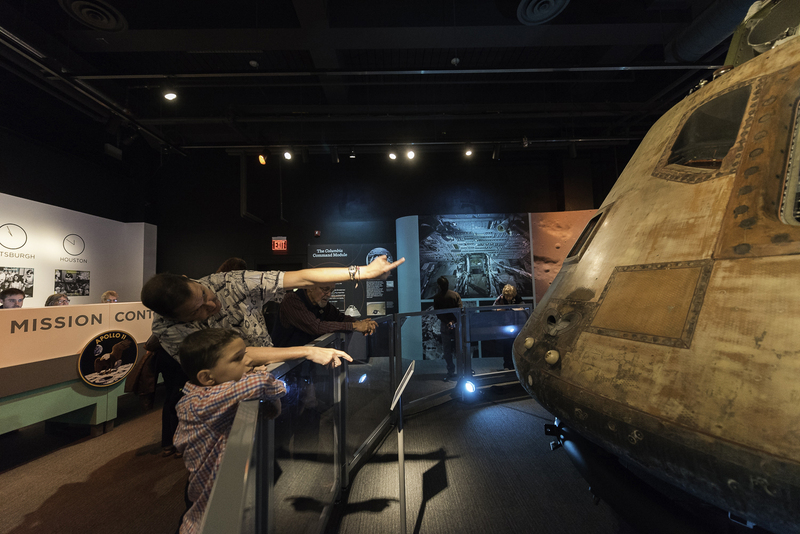 The only portion of the Apollo 11 spacecraft to complete the first mission to land a man on the Moon and safely return him to Earth, Columbia embodies the accomplishments of the 400,000 Americans who contributed to the success of the mission. 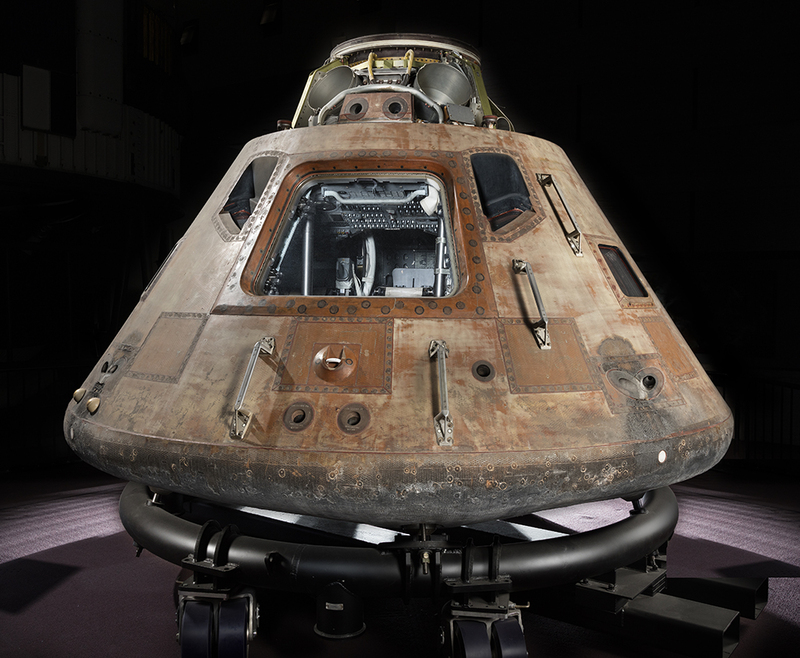 This national exhibition tour marks the first time in nearly 50 years that Columbia has left the Smithsonian. 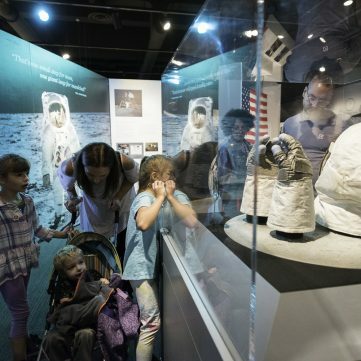 In addition to Columbia, marvel at more than 100 artifacts, including many used by the Apollo 11 crew of Buzz Aldrin, Neil Armstrong, and Michael Collins. 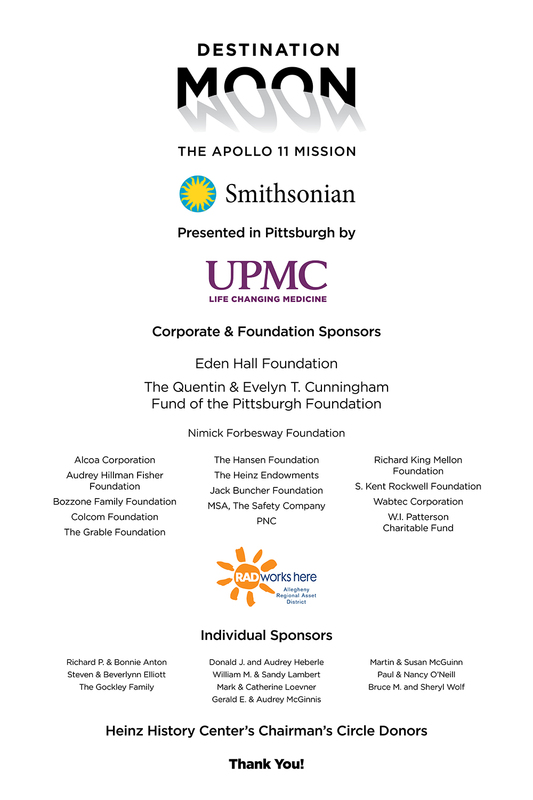 Learn how Pittsburgh innovators and companies, including Westinghouse, North American Rockwell, Wabtec’s Union Switch & Signal, and others, used their “We Can Do It!” spirit to play a crucial role in the Apollo 11 mission, and discover how the region’s brightest minds continue to impact the space program today. 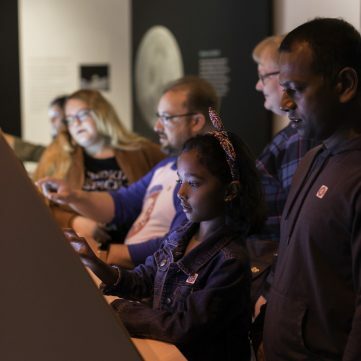 The family-friendly exhibit will also feature an immersive “launchpad” entrance, the iconic audio from mission control, and interactives like a lunar lander video game and a virtual 3-D tour of Columbia’s interior. 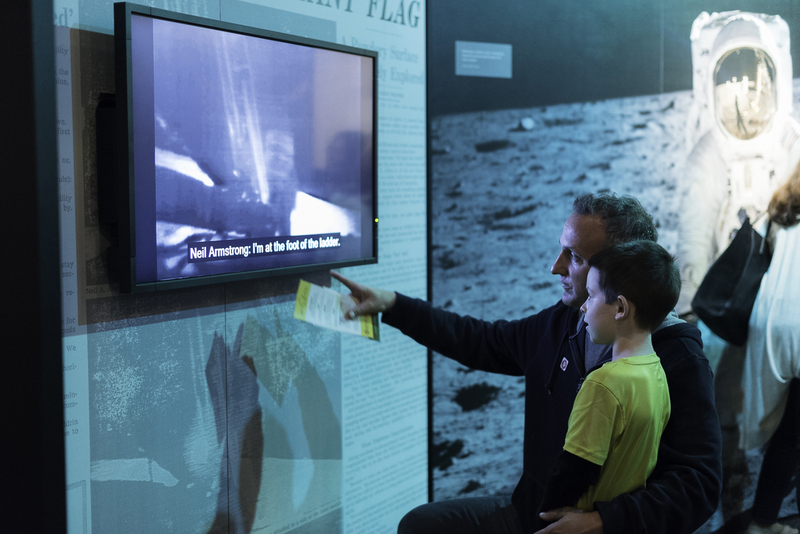 Access to the Destination Moon exhibit will be included in regular museum admission. There is no additional charge or separate ticket needed for the exhibit. 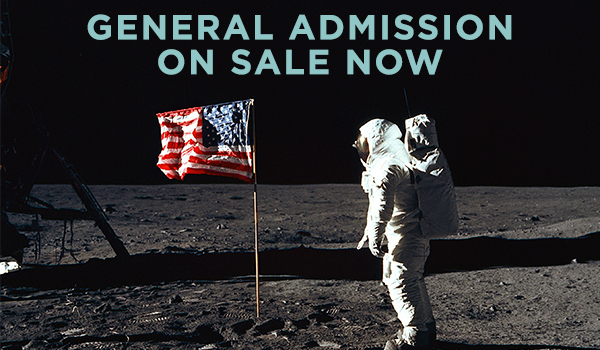 General Admission tickets are not designated for a specific date or time but may be used at the buyer’s convenience for one-time admission to the museum. 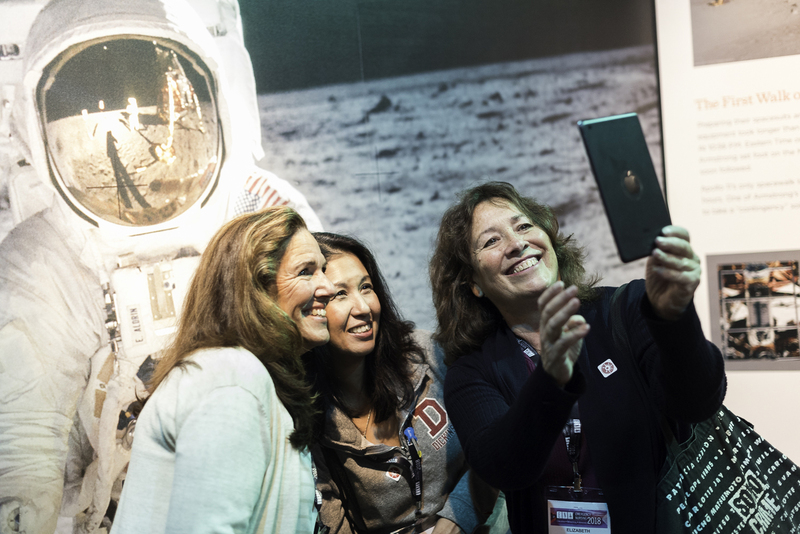 General Admission tickets cannot be used for admission to public programs, education programs, or other public events unless the program or event is advertised as being free with general admission. 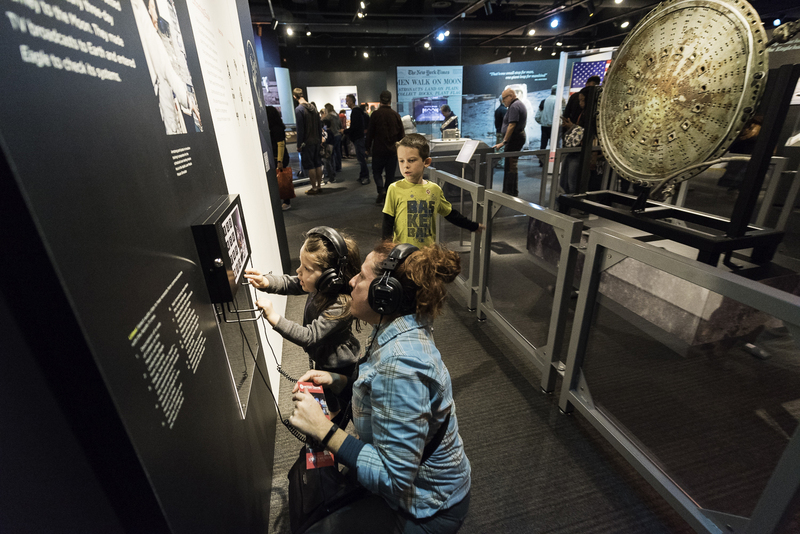 Please note that this Destination Moon ticket includes full access to the rest of the museum – no separate ticket necessary. 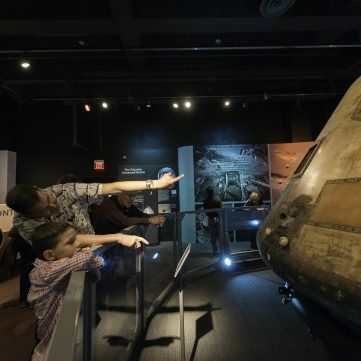 December 15: Destination Moon Guided Exhibit Tours at 11 a.m., noon, 1 p.m., and 2 p.m.
December 22: Destination Moon Guided Exhibit Tours at 11 a.m., noon, 1 p.m., and 2 p.m.
December 29: Destination Moon Guided Exhibit Tours at 11 a.m., noon, 1 p.m., and 2 p.m.
Command Module Columbia – Columbia is the only part of the Apollo 11 spacecraft to return intact to Earth. 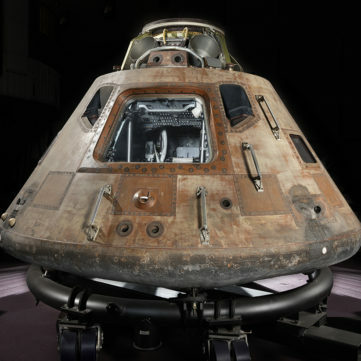 It carried the crew, equipment and precious lunar samples through a fiery reentry into the Earth’s atmosphere. 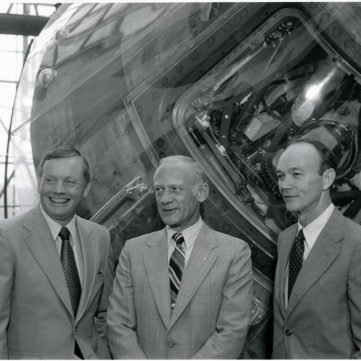 Columbia Hatch – The hatch served as the entry and exit point to the spacecraft on the launch pad and after landing. It could also have been used for an emergency transfer from the lunar module Eagle if docking failed. Star Chart – The chart shows the positions of the sun, moon and stars at the time Apollo 11 was scheduled to leave Earth orbit and head for the moon. 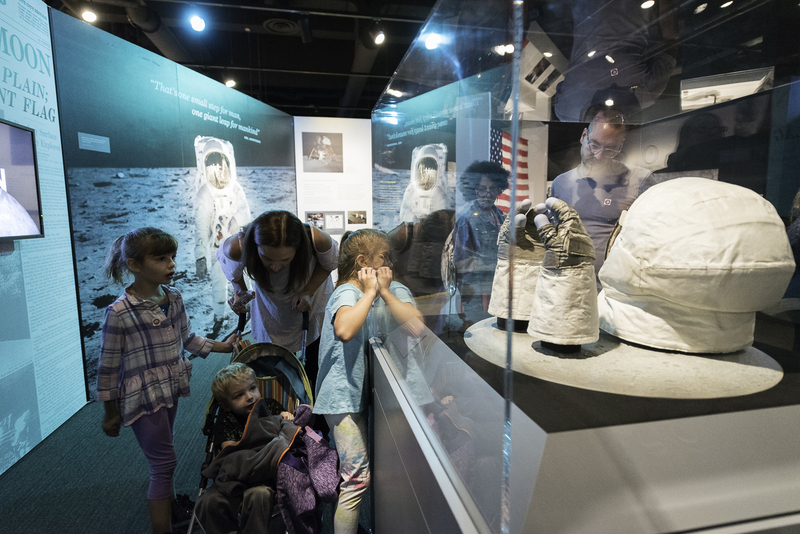 Aldrin’s Extravehicular Visor – Buzz Aldrin wore this outer helmet while on the surface of the moon. It fitted over his clear pressure-bubble helmet. Aldrin’s Extravehicular Gloves – These gloves have an outer, cut-resistant shell of Chromel-R fabric across the hands to prevent fatal air leaks caused by handling sharp objects and gauntlets to protect against solar heating. The blue fingertips were made of silicone rubber to provide more sensitivity for touching. 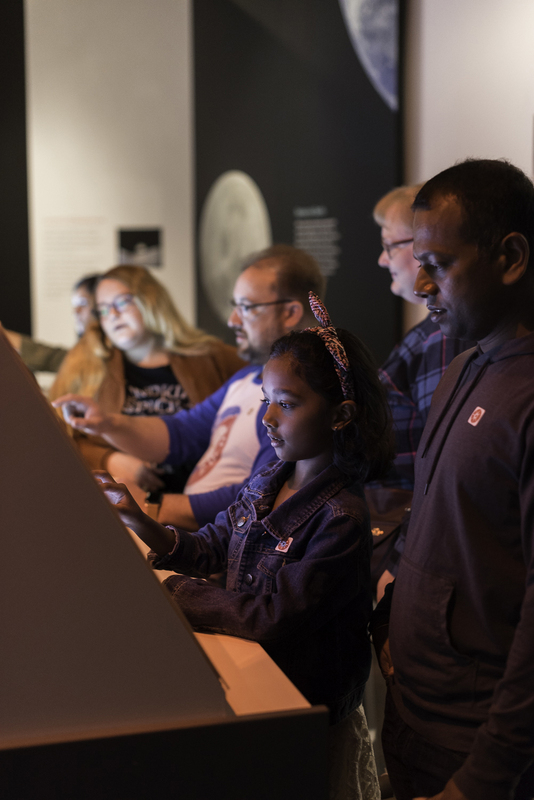 Destination Moon: The Apollo 11 Mission is organized by the National Air and Space Museum and the Smithsonian Institution Traveling Exhibition Service. The exhibition is made possible by the support of Jeff and MacKenzie Bezos, Joe Clark, Bruce R. McCaw Family Foundation, the Charles and Lisa Simonyi Fund for Arts and Sciences, John and Susann Norton, and Gregory D. and Jennifer Walston Johnson. 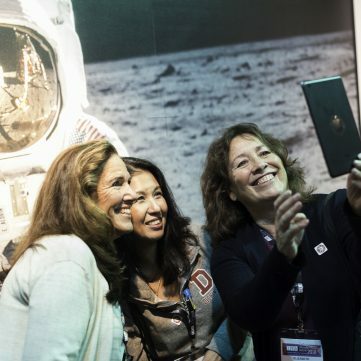 Transportation services for Destination Moon are provided by FedEx. 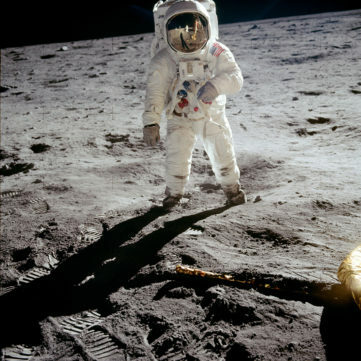 Astronaut Buzz Aldrin walks on the surface of the moon. Credit: Photo courtesy of NASA. 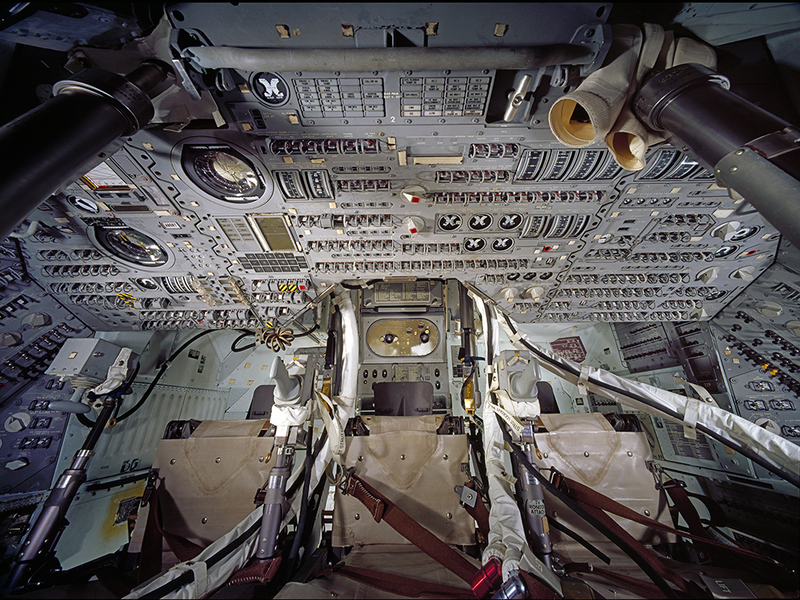 Credit: Photo by Eric Long, National Air and Space Museum, Smithsonian Institution. 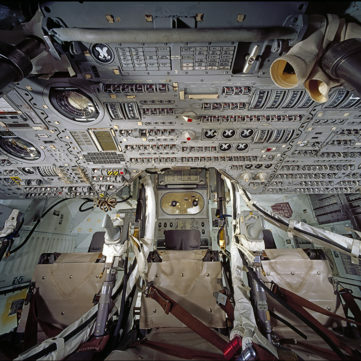 View of the interior of Apollo 11 Command Module "Columbia." 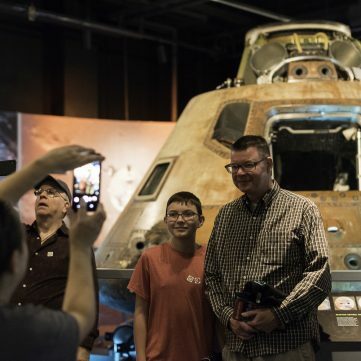 Apollo 11 astronauts in front of the command module at the National Air and Space Museum. 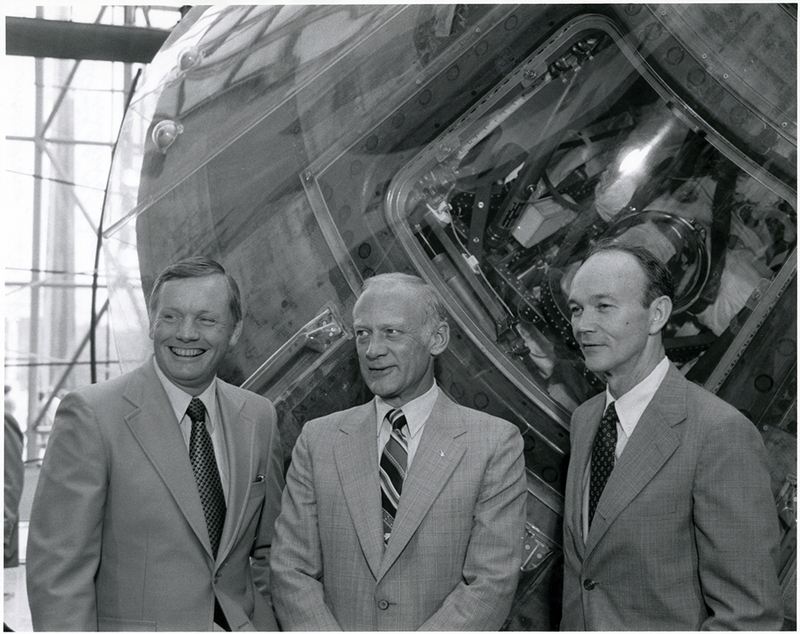 Apollo 11 astronauts Neil Armstrong, Buzz Aldrin, and Michael Collins pose in front of the Columbia at the National Air and Space Museum in 1979.